As with desktops, laptops can also be upgraded. We can upgrade a filling hard disk or add a little more memory to give your machine the edge it needs to run today’s software packages. If your laptop is running sluggish, we can diagnose and repair most laptop faults, whether it is due to a failing piece of hardware or a virus grinding your machine down. We can at least advise on the most cost effective approach to any repair or upgrade and discuss the various options with you so you have the optimum configuration for your machine and your purse! Being portable, notebooks get the brunt of everyday wear and tear however as and when cosmetic wear and tear takes its toll, we are here to help! 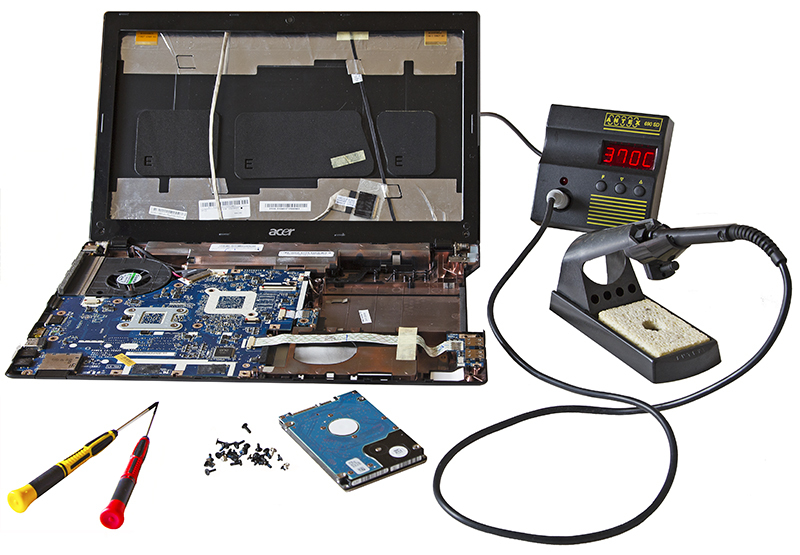 We repair all kinds of physical problems with laptops including laptop screen repair, replacement chargers and batteries, replacement DC sockets, keyboards, DVD/CD writers and any cosmetic damage including the plastics and casing.